In times of extreme aggression by the economic and political system, human relations boil down to their core. Which is nothing more than the sentiments and feelings who tie together the lives of the people who are closest to each and every one. The film’s heroine embodies the modern young adult who is faced with the brutal realization of having to choose between living and existing. But life is given purpose by its content, that is the amount of happiness or positiveness which inhabits it. Therefore, the struggle to preserve one’s dignity becomes an everyday goal. For many like the story’s main character, the only true source of beauty in their lives is the specific Other, which is the crystallization of all that is love. Inevitably, to maintain it, the mixture of harsh conditions and economic despair indicate the necessity of sacrifices to be made. She then chooses a symbol of their relationship to perish, so as to offer a token of her love for him. A crushing entrapment can offer a liberating escape. That seems to be the message in Ismene Daskarolis’ film. As long as there are eyes to reflect upon, nothing is futile and neither will be. It is not a naive resolution, but a reminder that resistance to reality will soldier on. The Gift of the Magi is now streaming on Altcine Action! The online film festival. You can watch it, write your critique and if you enjoyed vote for it bellow! And so it is that time of year again and with it comes the online release of The Gift of the Magi. It comes 110 years after the story was first published and 10 days before Christmas. We deeply thank everyone who participated and followed us in the film’s journey and await your comments bellow. Enjoy O’Henry meets the greek crisis, in a story about “two chidlren who were not wise.” Happy hollidays to all and wishing you’ll spend them as unwisely as ever. In the next few hours, the Gift of the Magi, the film we put a lot of love and determination into, will finally be released online for everyone to see. We’re so happy to have made it this far, even though its festival course continues, it seemed that this was the perfect time to do it, 10 days before Christmas and almost two years after its completion. The story celebrates its 110th birthday and for better and worse it’s more relevant tody than ever. Stay tuned for its release, enjoy and Happy Hollidays! The Gift of the Magi gains the Audience Award for Best Short Film! 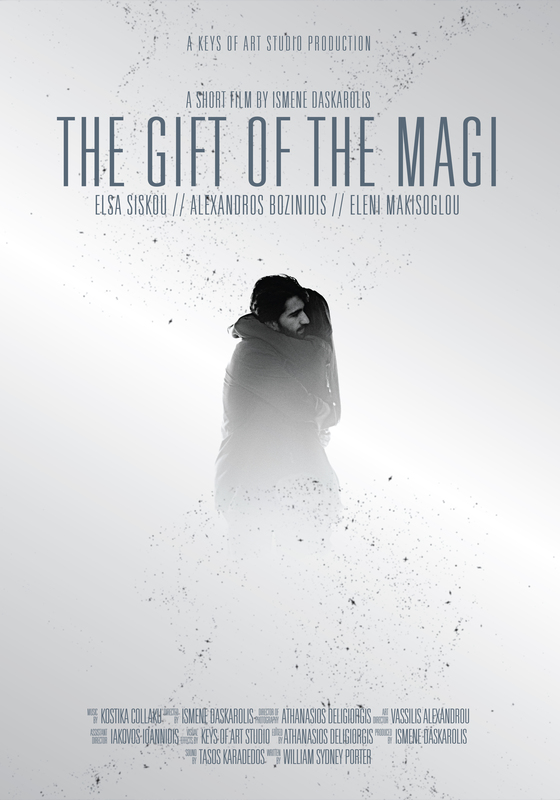 We’re very happy to announce that The Gift of the Magi, Το Δώρο των Μάγων won Best Short Film, as voted by an audience of 10 cities in Greece and Paris. We warmly thank Micro μ Festival for its selection and the audience that voted for us. This really was unexpected. Thank you for our first award! The Gift of the Magi at Film Fest Dresden! We’re vey excited to be part of this years Special Program of Film Fest Dresden on the 16th of April! Founded in 1989, It is generally considered one of the Best Short Film Festivals in Europe with a rich and diverse intenational program. We see it as a great privilege and opportunity for our film. Wish us luck and we will see you soon in Dresden!